← What do the Romans have to do with Nanotechnology? The following link below is an incredible article I found on Arutz Sheva (www.israelnationalnews.com) which reveals the amazing discovery by Dr. Eilat Mazar of the Hebrew University during excavations at the southern end of the Temple Mount in a location known in history as the Ophel. 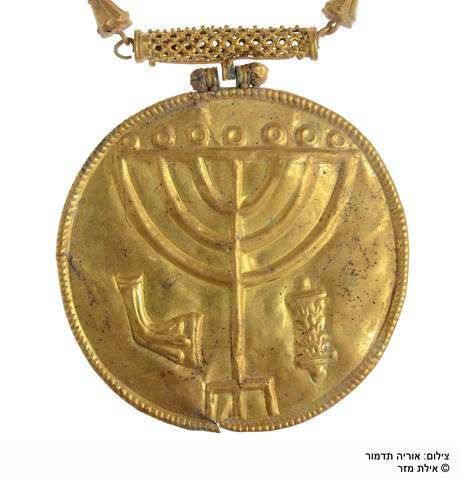 Dr. Mazar, who made the discovery last year of a tablet containing ancient Hebrew, discovered a treasure trove of gold coins, a gold chain, and an incredible gold medallion, all dating to 614 C.E., in this summers excavations. This site has surrendered many incredible finds in the past, such as Roman swords and golden bells from the garments of Jewish priests of the Second Temple Period, and yet, the Ophel continues to prove that it has more secrets to offer. Enjoy the read.